Sulfates are commonly found in both cleaning products and personal care products, like liquid cleansers, shampoos, bubble bath, and bath bombs, because they create foam. Sulfates help loosen grease and oil from your scalp and skin. SLS and SLES are derived from petroleum, which is a contributing factor to climate change, greenhouse gases, and pollution. Sulfates are considered safe only when they are used for short periods of time or when they are in concentrations of less than 1%. Most shampoos have sulfate concentrations of 10–25%. Sulfates have been linked to cell damage, including organ toxicity and skin irritation, and can increase skin sensitivity. Sulfates strip your body’s natural oils, drying out hair and skin, and strip color from color-treated hair. Residue from products containing sulfates can clog pores. DYK? The average person washes their hands about 10 times per day. Yet sulfates lurk in many liquid hand soaps, leading to dry hands and cuticles. 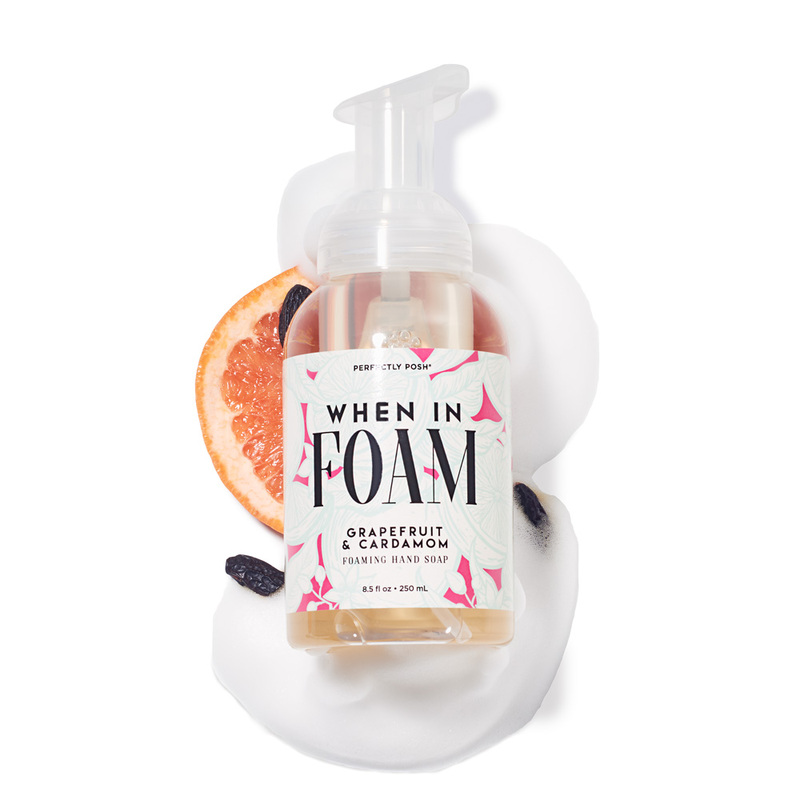 When in Foam™ Foaming Hand Soaps get their foaming lather from coconut-derived ingredients and lock in moisture with glycerin. Bubble baths are our favorite way to relax; unfortunately, most bubbles get their foaming action from sulfates, which means the longer you soak, the more damage you’re doing to your skin. Bubble Up™ All Mixd Up is sulfate-free and super foamy so you can soak as long as you like without giving up any bubbles. Looking to make your bath even better? Unlike most bath bombs, Fízi™ bath bombs are sulfate-free and come in tons of frou frou flavors. Have you made the switch to sulfate-free products? Tell us how your skin feels!